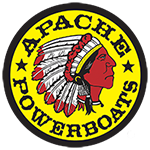 The Apache® Tomahawk is your ultimate rough water weapon and the product of three (3) offshore world championships. The Apache® Tomahawk is a sit-down, 5-occupant low profile machine designed to get down to business quickly. Its shallow profile enables high-speed cruising with minimum resistance, giving you the fastest average speed in rough water conditions. 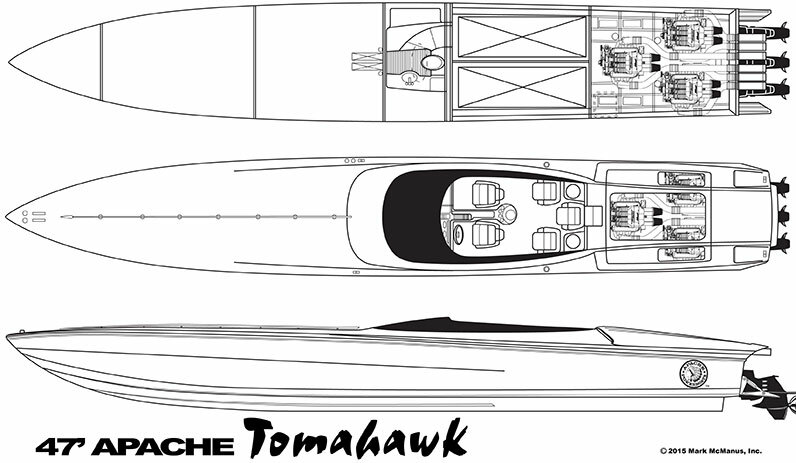 The Apache® Tomahawk also offers a variety of engine hatch configurations. The Apache® Tomahawk will be your weapon of choice to eliminate your competition. Teague Custom Marine or Mercury Marine available upon request.